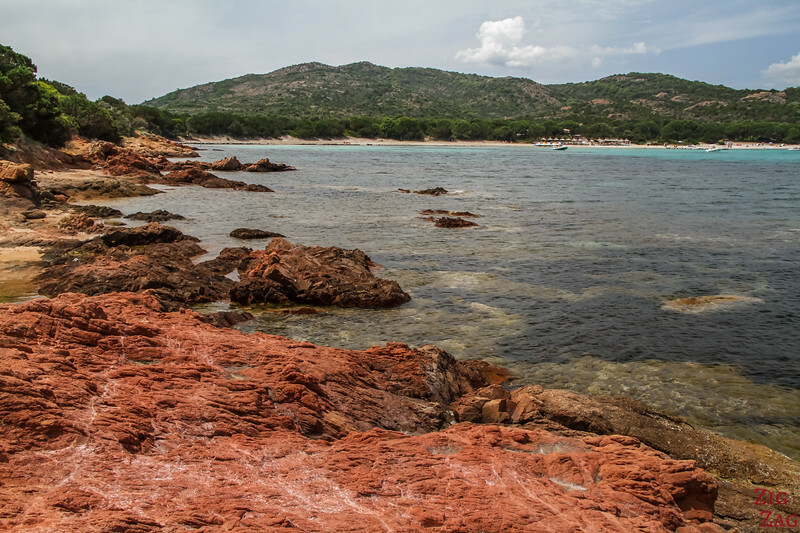 Want to admire the famous Palombaggia beach, Corsica? 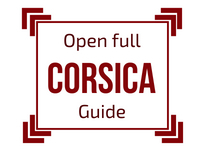 Below is my complete guide to help you plan your visit: how to get there, where to park, best sections, swimming, snorkeling, restaurants, accommodations... Get ready to see one of the most beautiful beaches in Europe! 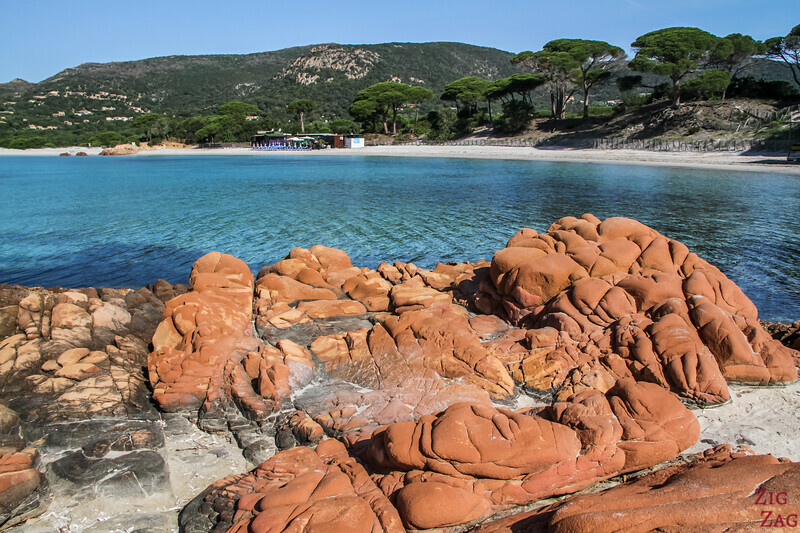 Palombaggia beach is often listed as one of the best beaches in Corsica and in Europe. This is due to the perfect mix of white sand, red rocks and stone pines along a beautiful half-circle cove and turquoise water. Plus on a clear day you can see the Cerbiales islands on the horizon (which are protected). 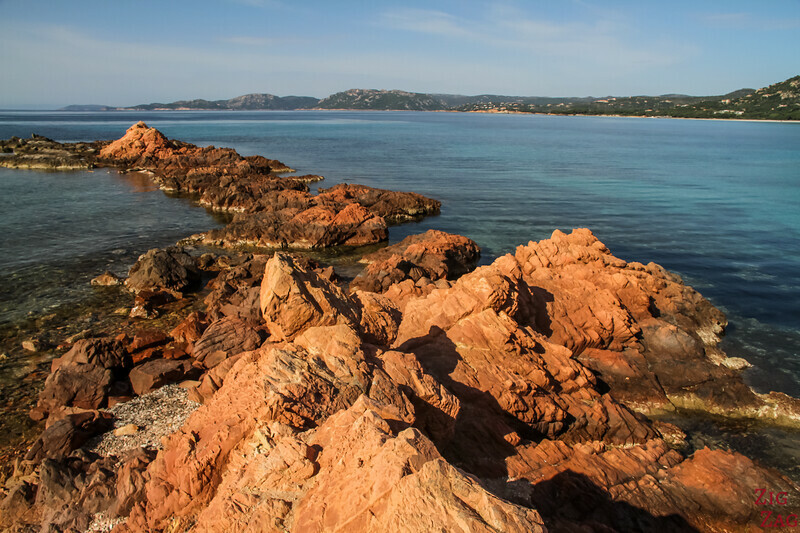 Below is a panorama that gives you an idea of what one of the most famous places in Corsica looks like - Postcard-perfect! Before I give you info, tips and photos to plan your visit, here is a short video to give you a feel for the place. This was shot early morning and outside the Summer season, so I was lucky to be almost alone on the beach! 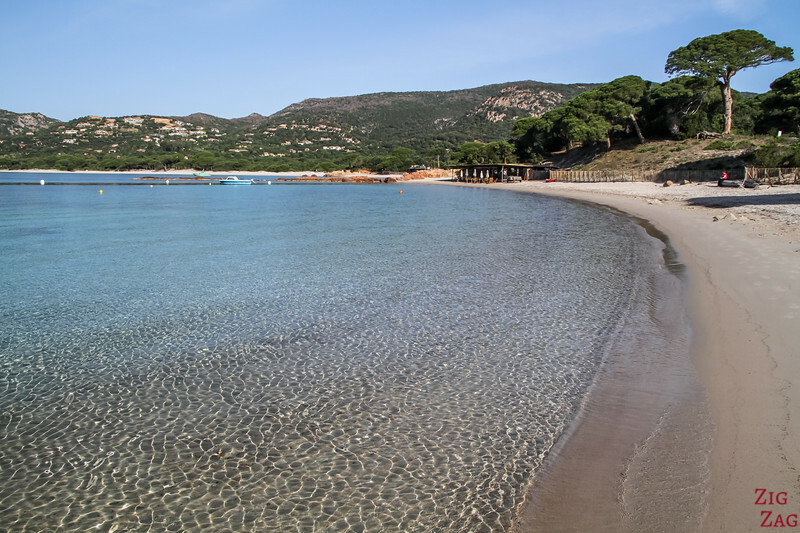 The beach of Palombaggia is located in South Corsica, at the South end of the island. 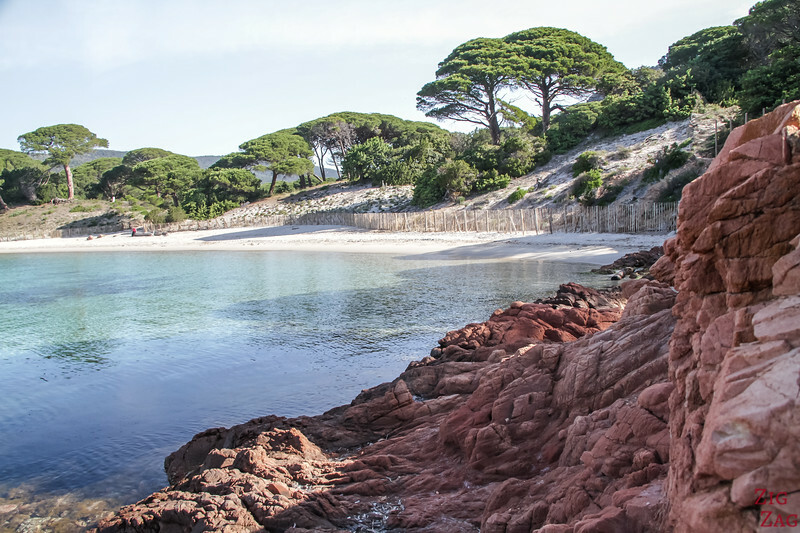 The region is accessible by car from Ajaccio (3h) or you can fly directly into the Figari airport. 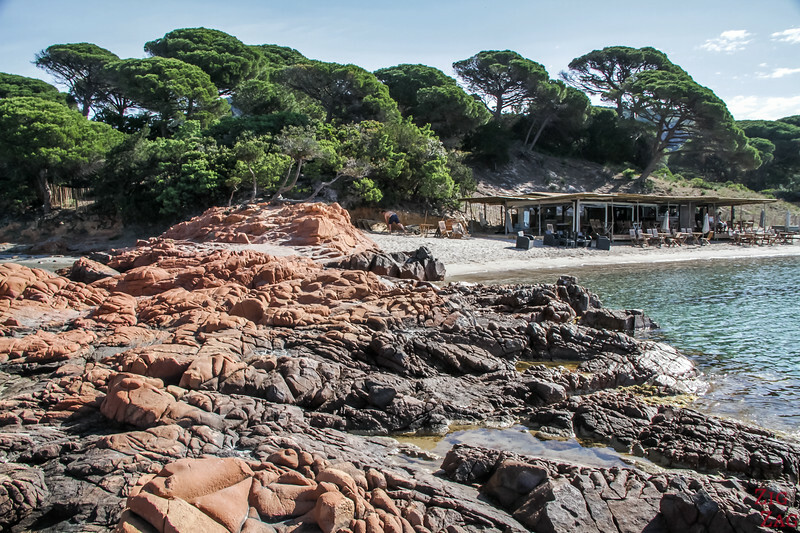 It is a 2km stretch of beach (actually 3 beaches) near the village of Palombaggia. This part of the coast has not been heavily built. So, on the beach, apart from a few beach restaurant, there are not buildings, just pine trees. By Taxi - A taxi from Porto-Vecchio should cost you between 35 and 45 euros. Walking - If you have booked a stay in one of the accommodations nearby (see further in the article), you can walk there within 10 to 30minutes. 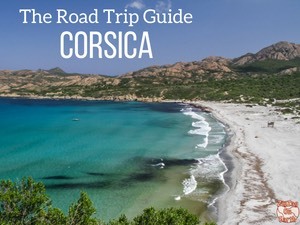 Renting a car in Corsica is definitively the best way to visit the region. 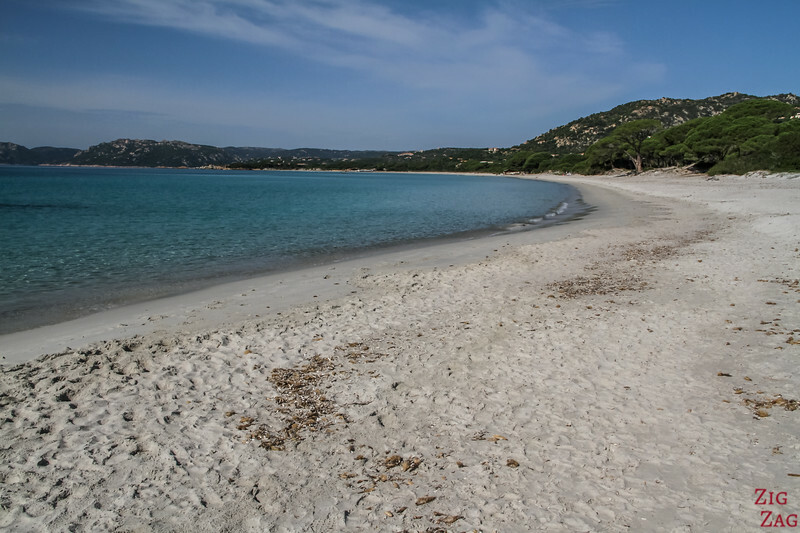 Since Palombaggia is considered one of the best beaches in Europe, it is totally overcrowded in Summer. You definitively won't feel the magic in the middle of the day, with the Summer heat and all the vendors trying to sell you stuff you don't need. But if you are ready to wake up very early or are able to travel outside of the Summer months, then you will get to enjoy the beautiful scenery it has to offer. 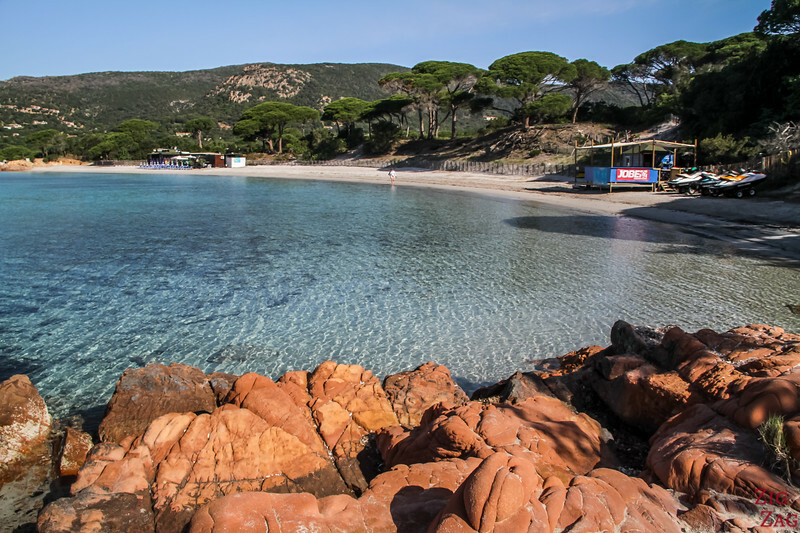 Anyway, whatever the month, the best time to visit the beach of Palombaggia is early morning or late afternoon. 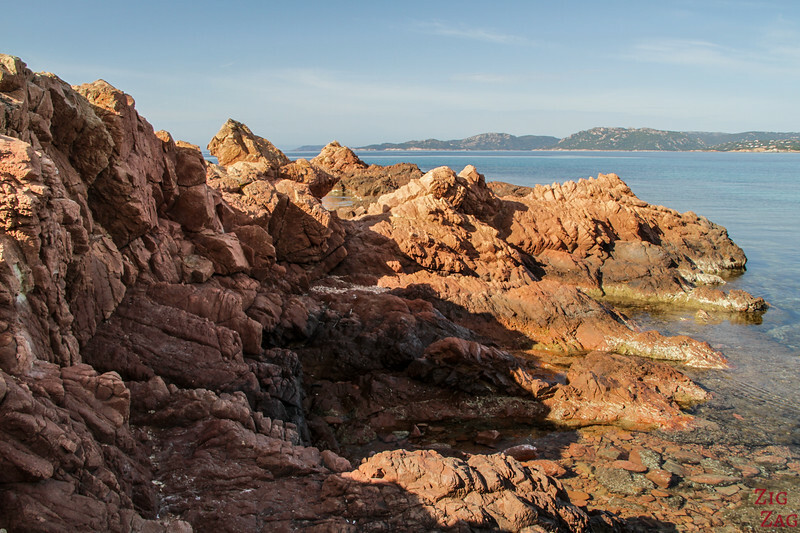 When the sun is low, it hits the pink granit, intensifying the shades of pink, red and orange of the rocks. Palombaggia has one free carpark. It is located at the North-East end of the beach. The road to get there is OK, but the carpark itself is bumpy and a little bit confusing has to how to circulate. Note that in the middle of the day in Summer there is little chance to find a spot. It fills up very quickly. But is is free so that's great. And I think it is near the most beautiful part of the beach - so perfect! There are other carparks along the 2km beach however you will have to pay a fee as they belong to restaurants. Often it is a flat fee for the whole day. You can find several beach restaurants located along the beach (North, middle and South). The stretch of sand is not very large so seating is limited. Get there early! Most of them serve seafood, salads and light meal options. Some serve pizzas. 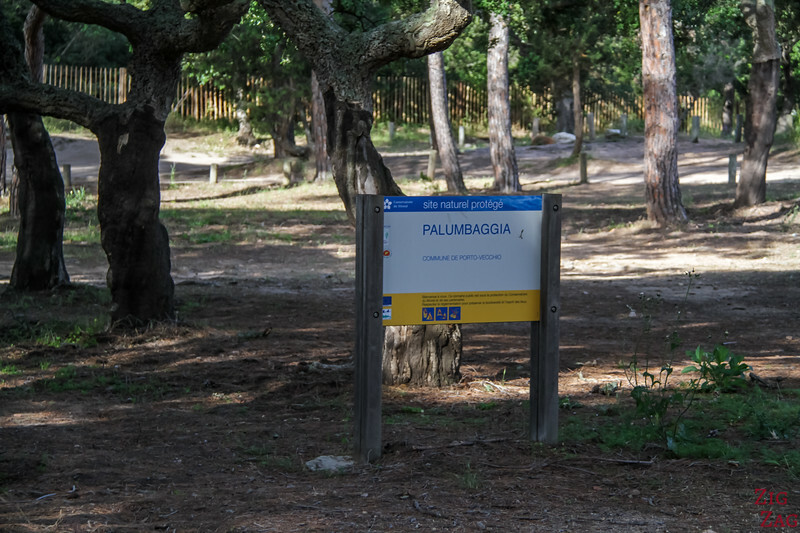 Wild Camping is not allowed on or near Palombaggia. 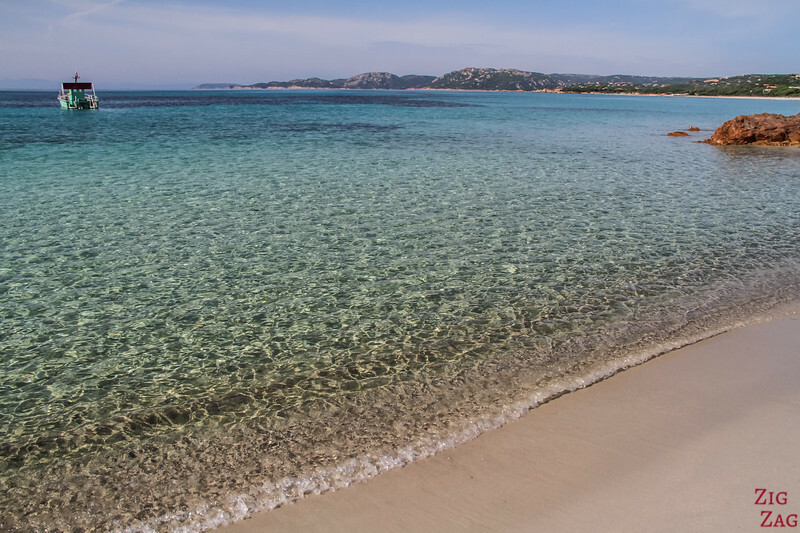 Palombaggia offers clear waters to enjoy a good swim. In Summer the water is really warm and transparent. Very inviting ! There is surveillance in Summer season. 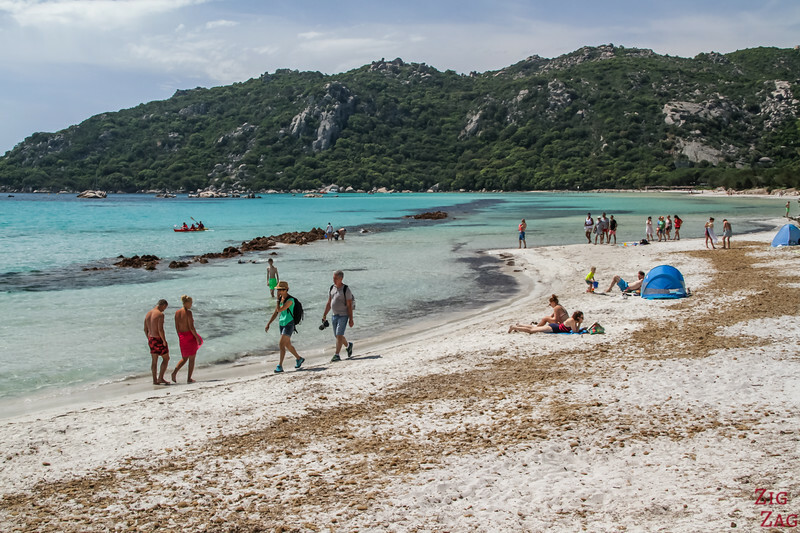 Snorkeling at palombaggia is an excellent idea. With the many rocky stacks and clear waters, you can see a lot. Especially as fishing is regulated (it is part of the protected natural reserve of les Bouches de Bonifacio). Mask and tuba are sufficient to see many species of fish. Some a good at protecting themselves and disappear with the sand while others have the colors of tropical fish. Not far from the free carparks, you can also rent equipment for snorkeling, wind surfing, kayaking, pedal boating, and diving. My favorite part of Palombaggia is at the North East end near the carpark. This is where you can find most of the red rocks. Here are some pictures to show you why I loved it! When reaching the beach from the carpark, head left to the large promontory of pink granit. It is a lot of fun to explore and gives you a little bit of height to see the beauty of the bay. You can climb around and see the different layers of pink granit. 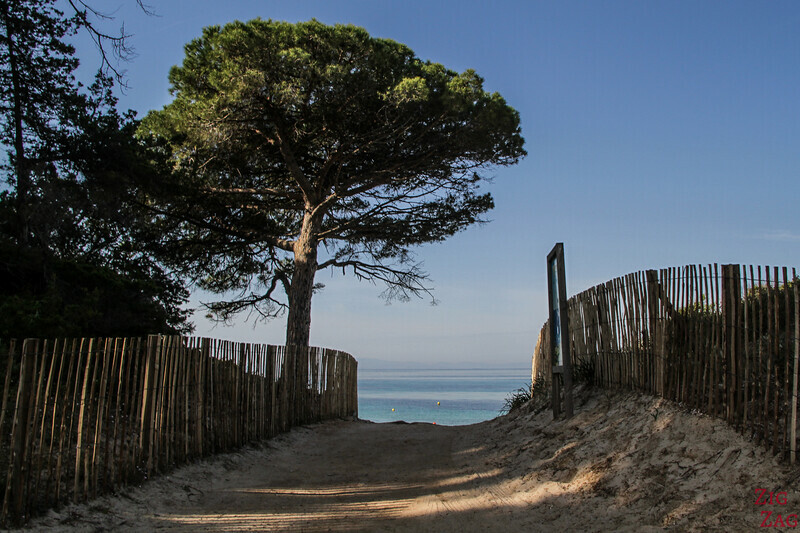 And when looking back towards the beach, you notice how it is protected by dunes and stunning stone pines. Another area that will be loved by photographer is more towards the middle. When arriving from the free carpark, head right. The rock formation is smaller but trees have grown right above it. And it looks like it is spraying over in the water. I love the perspectives you can shoot. Plus you can easily walk over the rocks that have been rounded and smoothed by the water and erosion. It is quite fun. You can keep going South West (right when facing the water). The further away from the parking you get, to more space on the beach you can get (wider and less people). However, it also has a lot less beautiful red rocks. 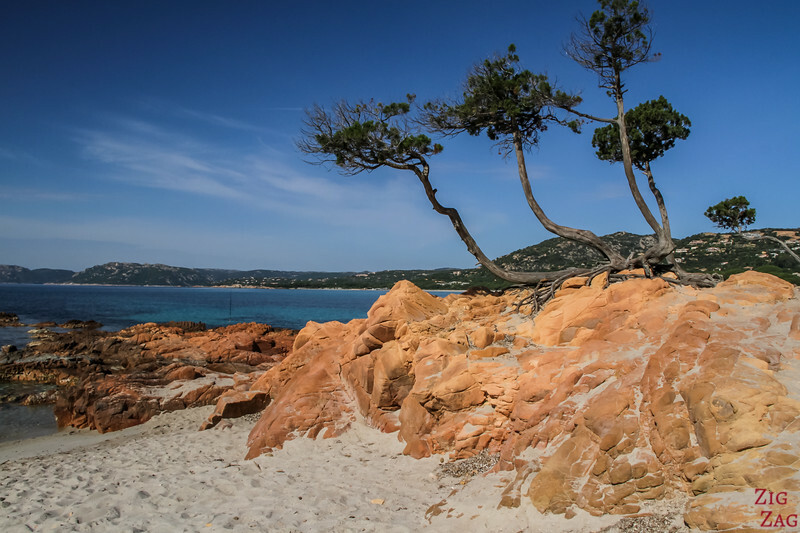 Actually some of the most famous pictures are Palombaggia are with white rocks and with a Pine Tree. This is a cove located between Tamarriciu beach and Palombaggia beach. It is part of the Palombaggia peninsula, but for me it is more representative of tamaricciu beach rather that Palombaggia beach. Anyway, you can reach it from the South West end of Palombaggia, just walk past the tip to reach it. It looks quite different from the pictures taken at the other end, don't you think? See more photos of Tamaricciu. 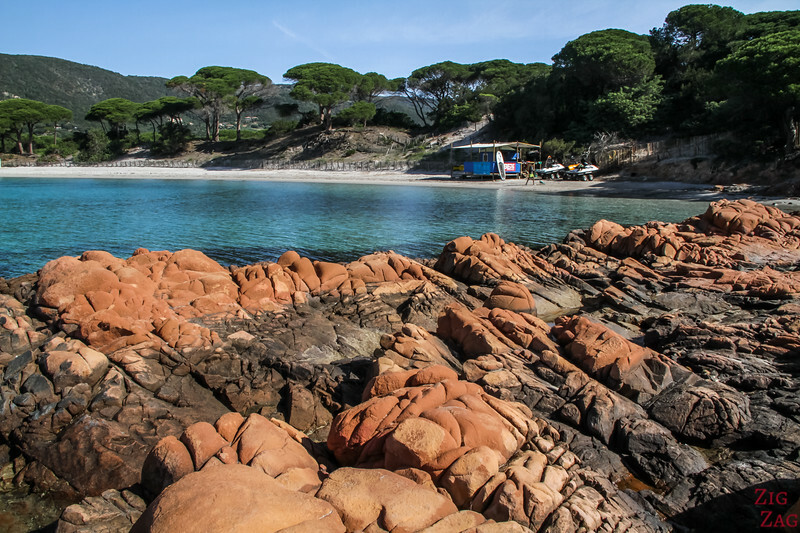 Palombaggia is definitively the most famous beach in the region, but there are many other ones to visit. One of my favorite is Rondinara Bay. I love love love rocks and colors and found a top spot there. This beach offers different evironnments depending on what you are looking for. In the middle is a large stretch of white sand and shallow turquoise water. At the South end are small coves and stunning colorful rocks while in the North you can find a lagoon right behind the beach. It is located South of Palombaggia, mid-way between Porto-Vecchio and Bonifacio. Check out my article about Rondinara Beach. People who enjoy spending the day at the beach and doing many kinds of activities really love Santa Giulia. It has all the amenities right by the beach. Lots of sand, turquoise water, rocks, kayak, stand-up paddle, snorkeling, diving... you can do it all!